Released October 2015 from Takasago. 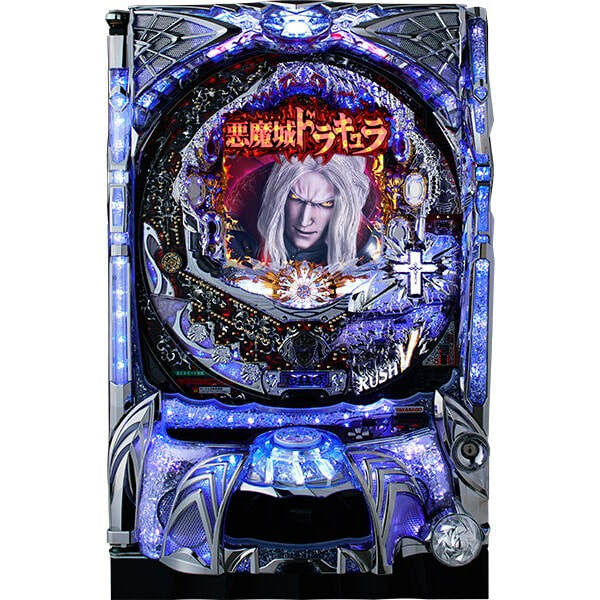 A pachinko machine we will be introducing today is “Castlevania”, which is a popular action game developed and published by Konami. Among the multiple series, this machine is based on “Castlevania: Rondo of Blood”. Primary character of Richter Belmont fights intensely with the forces of Count Dracula!! Accessories such as Grand Cross will lead players to a victory with maximum excitement!! When the battles against Count Dracula occur, something might happen even if you lose! !